Have you ever talked to your pet and got the sense that it was listening to you and understood you? Do you want to know what it is like to truly commune with a Beast? 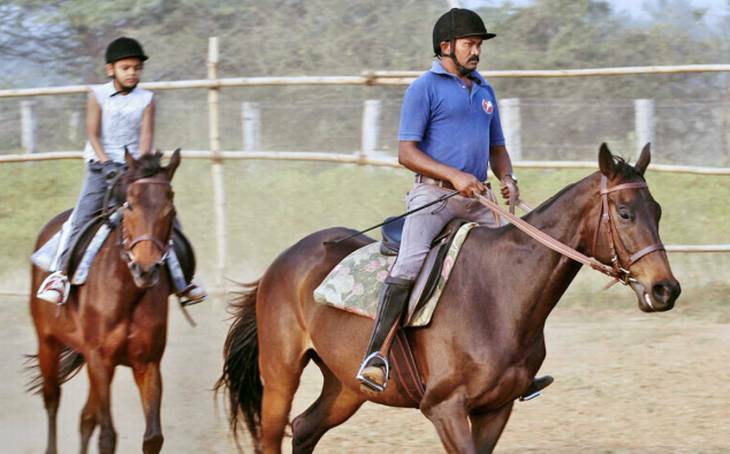 Beast Master is a course that sets out to not only teach the students the basics of horseback riding, it also aims to bring about more confidence and gain respect for large, small and even wild animals. The main focus of this course will be equestrian in nature and will include multiple days training days with horses, a local trail ride and tour with the LAPD Mounted Unit Paddock in Atwater Village. Other activities that will expand the students’ knowledge of working with animals will be canine obedience training, learning what to do when encountering a wild animal, and a majestic falconry experience. • Students will be required to provide long pants and boots with a minimum 1”-1-½” heel when riding. Boots with zippers up the sizes will not be appropriate. Supplemental fee: This class will charge a supplemental fee of $650 to cover the professional riding lessons.